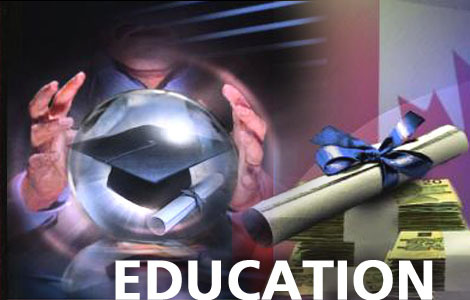 HomeUncategorizedThe Plea for Education; Why is it Being Sought? The Plea for Education; Why is it Being Sought? James Beattie, 18th century Scottish author and philosopher, once said, “The aim of education should be to teach us rather how to think, than what to think, rather to improve our minds so as to enable us to think for ourselves than to load the memory with the thoughts of other men.” In today’s world, education is a primary building block, not only in terms of economic security, but in social status as well. With the increasing number of students enrolled in our colleges and universities , it becomes evident that the desire for knowledge and self improvement has reached the high point in the history of education. Now the question arises—why the sudden thirst for knowledge ? Are we interested in acquiring information or insight ? Information, itself, is of little value, it’s what we do with the knowledge that counts. Are we making the best of our opportunities ? What is the motivating power behind this surge for higher education? Is it financial security the student is seeking? Is it brought about by a feeling of being able to compete in today’s work-a-day world? Is it a search for educational equality? I like to think of it as a needed inspiration, a cultural awakening, a foundation for the future “Utopia” of the world.